Decent phone for under £100 with free delivery!! (was £129.99) and includes REMOVABLE BATTERY which is important to me on a mobile phone oh and you can get it on interest free for as little as £8.33 pm over 12 months. 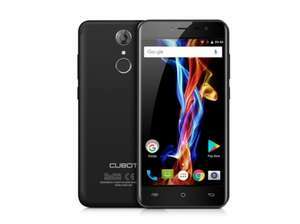 The Cubot Note Plus features with MT6737T, GPU is Mali-T720 MP2 clocked at 1.5GHz.With a unique low power algorithm, it can easily deal with long gaming-sessions or long time multitasks. You won’t need to worry about your battery-life. In order to ensure the smooth operationCCubot Note Plus uses Google’s original Android 7.0, customers can enjoy all Google Services without unnecessary bloatware. Dual-Sim gives you the possibility to use two Simcards on one phone. This will enrich your life and make business easier. After going home from work, you can simply switch off your business-number. That battery could have been better. You can buy other budget phones with better battery life. That battery could have been better. You can buy other budget phones with …That battery could have been better. You can buy other budget phones with better battery life. It’s removable so you can purchase and carry a spare for a few quid more, meaning you can potentially have 5600mAh worth of power. Replacement batteries available from AliExpress from £10.24. Deal posting newbie! This is oynaang first deal post. Help out by leaving a posting tip or just to show your appreciation for their contribution.